The Annual Mt Albert Mud Run is an entertaining event for adults and kids alike! 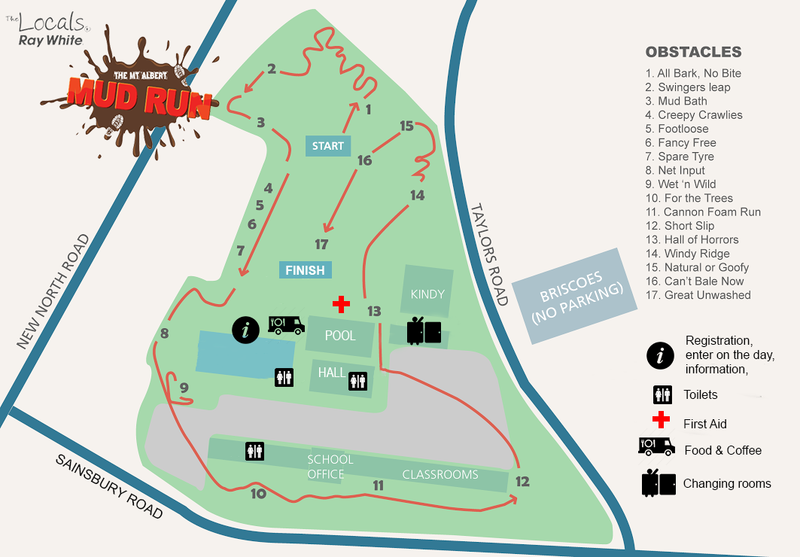 Held on the 26th May, this event promotes community spirit, and muddy fun for the whole family. Participants will complete laps of the course which will include mud-filled obstacles and loads of entertainment on the Mount Albert Primary School grounds. The 1km loop around the school grounds will include 17 obstacles including a foam cannon, rope swing, two mud slides, tyre tunnels and heaps more. Did we mention the foam cannon! There will be music, food stalls and loads of spot prizes. After the course, our local fire-fighters will be available to hose down participants. The event is held at Mt Albert Primary School 6 Sainsbury Rd, Mount Albert, Auckland 1025. (Pedestrian access from Sainsbury and Taylors Roads). There is no on-site parking so please park where you can on surrounding streets. Please be considerate of locals and keep all driveways clear. Please do not park in the Briscoes carpark area or you may be towed! Starts are in waves of 10 people and based on age, starting with the under 5 year olds who can run with an adult. The waves are pretty casual so if you can’t make it to the right one then don’t stress too much – just join a wave when you can. We are not timing the laps this year. If you want to run as a family, keep an ear out for announcements during the morning. We’ll be running these throughout the day in between the age categories. Please note that the times below are an indication only. Times may run differently depending on numbers in various ages. Shoes are compulsory while on the course. No shoes then no start sorry!! This is for safety as this area is all on volcanic rock and there are many sharp stones. We have tried to clear them but cannot guarantee they are all cleared from the course. Entries received on the day are an extra $5. The school will be selling coffee, pies, BBQ, Samosas and water. There is no on-site parking so please park where you can on surrounding streets. Please do not park in the Briscoes carpark area or you may be towed! The local fire brigade will be on site to hose you down. We suggest a change of clothes and bag for wet gear. Stephen Tilley will be the photographer on the day, taking photos from throughout the course.